When there's such a big variety of iphone apps at the app store it's quite hard to find out which one is better, which is cheaper and which is the the latest . It takes a lot of time and sometimes because of a hurry you may purchase the wrong app (which does not match your needs) at a high price. It's wearisome is not it? you can solve or simply avoid all these problems with adding just one app to your collection. 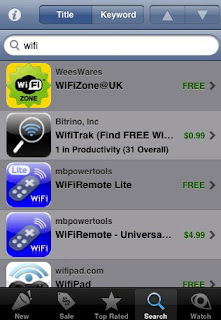 AppMiner will help you find and notify you about the apps classifying them by prices, popularity, release date etc. and you download them faster than the usual way. This gives you the opportunity to catch the hottest and latest apps which are free for some time, to be always in course about which apps are the most downloadable, to search fast by title or a keyword. AppMiner is really convenient and can help you save your time and money. So don't delay to download it until it's FREE!! !